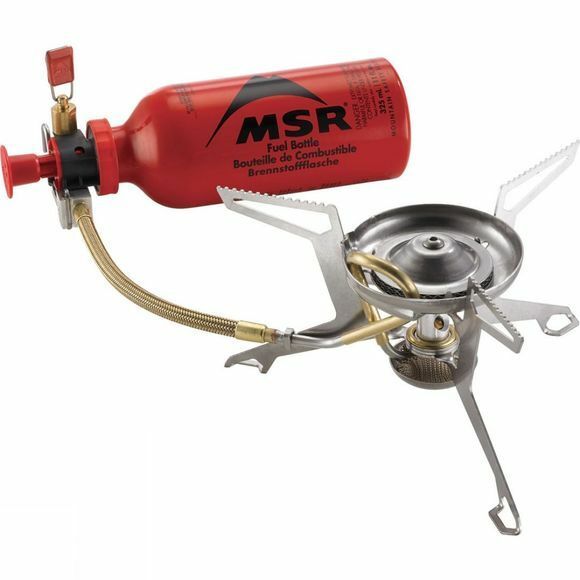 The Whisperlite International Combo Stove from MSR burns white gas, kerosene, and unleaded auto fuel, which provides lightweight and compact multi-fuel versatility, making it an ideal choice for globetrotting backpackers. It has a simple, easy-to-use design which features a one-piece, stamped stainless steel leg assembly that boosts stability and simplifies maintenance while also reducing weight, delivering reliable performance for backpackers, climbers, hikers and explorers in almost any situation worldwide. Please note: MSR Fuel Bottle sold separately.